The worst thing that ever happened to me as an ultrarunner, although conceptually unfathomable to a 23-year-old, was finding top-of-the-podium success right away at the 50k distance. Combined with a “the longer the distance the better I’ll do” notion de naivete born partly out of running a 1:28 15-miler (5:58 pace) at a time in high school when my 10k PR pace wasn’t significantly faster, it was a hubris-heavy recipe for 100-mile disaster. The ’98 and ’99 Angeles Crest 100s ended in DNFs. I finally got my first 100 finish at Western States in ’02 and managed a silver buckle in ’04, but every single one of my 100s through 2011 essentially followed the same stubborn pattern: race too hard, too early, trying to force that elusive breakthrough performance, neglect taking care of the machine, crater by 100k, crawl in on fumes with a cracked chassis. 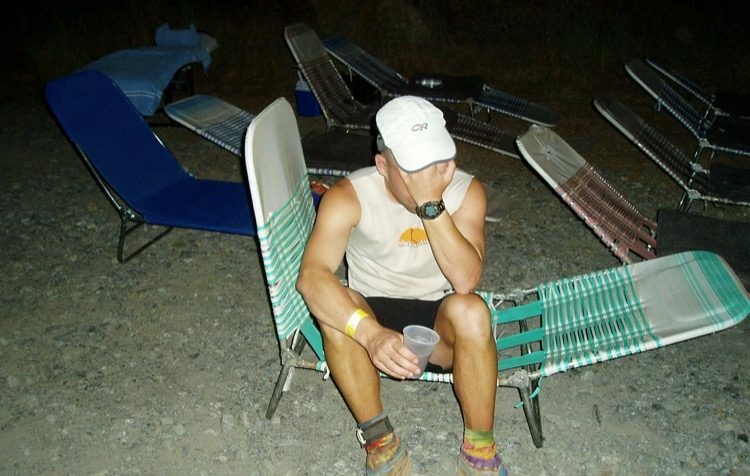 My ‘favorite’ example is the 2008 Wasatch: 18 hours to Brighton (mile 72ish), 30+ hours to finish. And, yes, the implosive reality of that basic math was as painful as the physics with calculus class I took in college. Seventeen years into the sport it would have been far too easy to hang up the 100-mile shoes and stick with the shorter ultra distances I seemed to be better suited for. The dream of putting together a solid 100 from start to finish wouldn’t take its long dirt nap so dismissively though, and as fate and calendars would have it, the 2014 San Diego 100 fell on my 40th birthday weekend. How could I pass up this serendipitous chance to prove to myself that I could get older and wiser, not just older? I trained properly and passionately; none of my typical long slow distance exploring the mountains ‘til the cows came home. Speedwork, in all its forms, and core strength, was milked for all it was worth. It was an inspiring, do-no-wrong training cycle we all wish we could capture in a time bottle, but the single most important change made was my approach to race day. Many blowups ago, Tough Tommy (Tom Nielsen) had proclaimed to me: “Hundreds are all about patience.” Ten years later I was finally ready to listen. My only goal for the race was simple: to treat it as anything but a race, to focus on nothing except taking care of myself so I could finish strong; whatever time, whatever place, that meant. The first test came early. As a sort of governor against my own self-destruction I wore a heart rate monitor set to alert me when bpm effort crossed a certain threshold and I noticed that the comfortable pace I was running often left 10+ bpms to spare. I was tempted to speed up and flirt with that threshold like my twenty- and thirty-something self definitely would have. Instead, I did some quick math. Even if I ran a minute/mile faster for the next 50k I would gain half an hour; at what cost though? Working that much harder, I might pay back minutes in hours down the line. I held steady. It felt great to be using my brain instead of taking the traditional bull-in-a-china-shop-of-strategy approach. It did not, however, lead to a flawless race. The heat of the day brought on a low ebb in energy that would not end. Acknowledging my frustration initially, instead of entering the downward spiral of negativity at ‘doing everything right and still not feeling awesome’ I used the miles of lethargic walking on runnable terrain to fuel, hydrate, assess, and bide my time. Over ten miles later, as I picked up my pacer around mile 55, I finally came around. The big payoff for patience and systems management early was about to break through my late-race demons in a way I never could have imagined. The concept of flow in running, that psychological state of full immersion and mental focus during which the physical equivalent of trying to spell ‘Csikszentmihalyi’ for the win at an all-night spelling bee becomes eerily effortless, is an elusive one and it surely involves nuances unique to each individual. In all likelihood, no two people experience it the same way. I will probably spend the rest of my ultrarunning days trying to recapture a taste of the surrealism of the final 45 miles of the San Diego 100. It had to be flow because it was so ethereal, and, to this day, so difficult to describe. Transcendent locomotion, perhaps? If all I have done here is talk about myself, then I have failed. If you’re finding yourself thinking about what ruts your running-wheels have fallen in though, and the anxieties you’ll possibly need to overcome simply to step toward the unknown, then maybe I have succeeded a little. To some degree we are all like Linus, carrying around our training and racing security blankets. There is an unfortunate comfort in the status quo, even when it’s clearly not working. The urban dictionary defines “more cowbell” as ‘an extra quality that will make something or someone better.’ I needed to cultivate a willingness out of stubbornness to make drastic changes in my approach to training for and running 100s. My raceday cowbell was patience, and I needed a lot more of it, especially to see those changes through, even when they appeared to be ineffective midrace. We all have a cowbell we need more of in order to progress in running, and in life. What is yours? 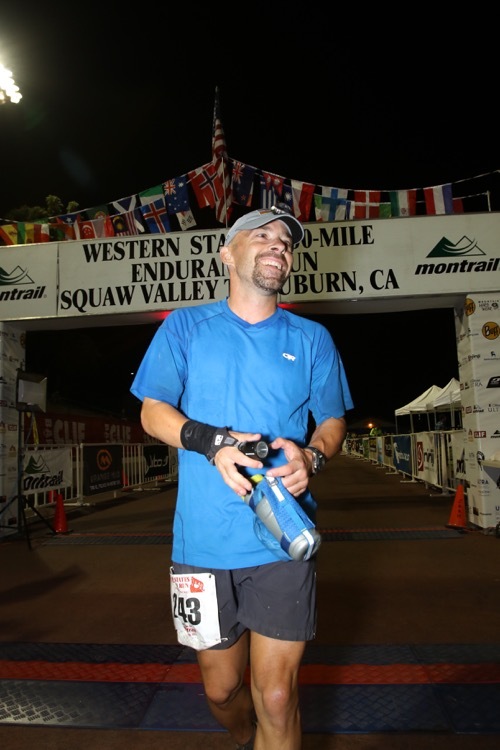 Baldy Peaks 50k is a wonderful place to begin one’s ultra career. Lots of head-handing by surly bighorns, where the CR is slower than many 50milers. I think there’s less than 10 people in the sub-6 hour club. A classic for sure! Jeff, you always have the best perspective….keep on going and you’ll always have a cheerleader up here in the PNW and bed if you need one. Thanks Brenda! I’ve got to get up there to do the Wonderland Trail one of these summers. I’ve been running ultras every year for 12 years. My 50 mile pr is 7:19 and my 100 mile pr is 25:12. I just turned 40 and I’m still waiting! 26:35 on the AC100 course is solid though! Have you tried changing up your training or raceday strategy for running 100s? You’ve got nothing to lose if you haven’t! That was my mentality. If I hadn’t changed my approach I’d likely still be waiting too. Breakthrough Kozak Performance: finishing a 6 pack of Stone IPAs. The real breakthrough performances are made in training. Races are undeniably tests of patience just so you can get to mile 60-75 and open the easter egg and find the potential that was cooked up for 6 months.